← Pumpkins! Mustard greens! Peppers! The Farm Stand hours are changing to 3-5pm Mondays as the light dwindles. Community Farming hours are also changing to Mondays 1-4pm. Community Farming & the Farm Stand will both have their last day on Monday November 9th. If you’re interested in hearing about produce available for sale after November 9th, please shoot me an email: matt@cullyneighborhoodfarm.com. 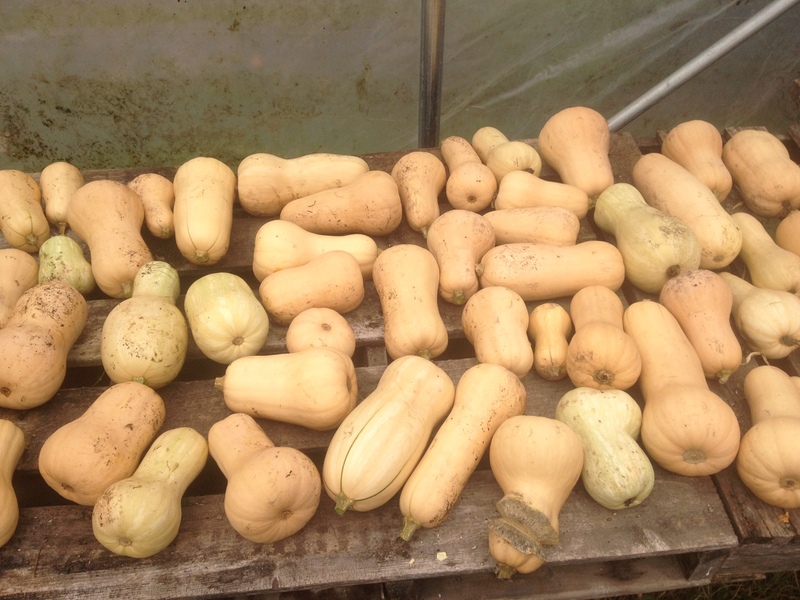 I still have pie pumpkins, winter squash, red & yellow storage onions, garlic, green onions, hot & sweet peppers, collards, mustard greens, and beets…. The crimson clover crop is beginning to provide a thin green-hued blanket on most of the farm fields now. We are signing another 3 year agreement with Trinity Lutheran Church & School to use this amazing piece of ground! Thanks so much for all your support. Stay tuned for more updates this winter. CSA will be returning in 2016! Hurrah! 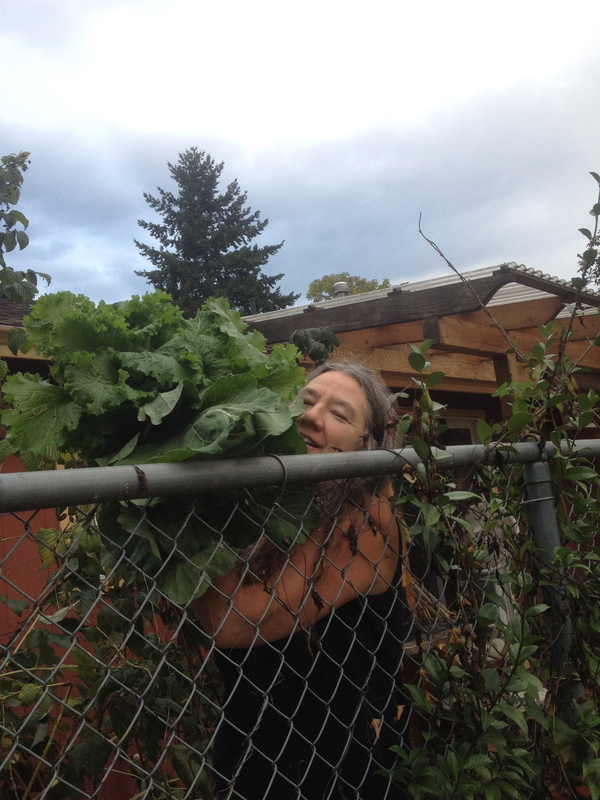 Amazing farm neighbor Beth with her bushel of greens!